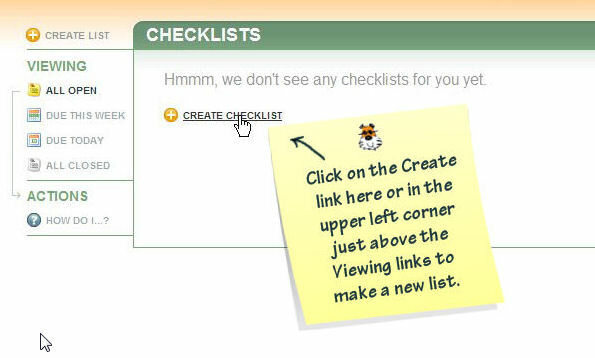 by Bill Dwight on Thursday, December 29, 2011 at 11:46 PM | LEAVE A COMMENT! 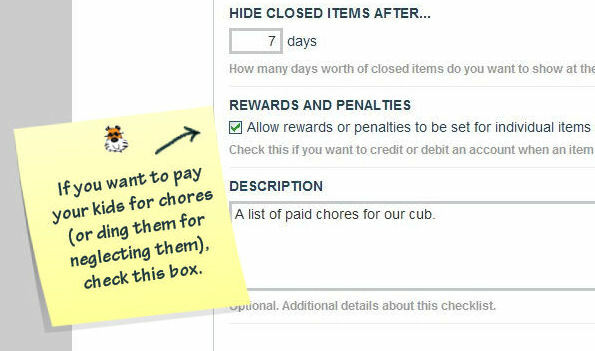 I’d like to make a small feature request and hope this is the right place. 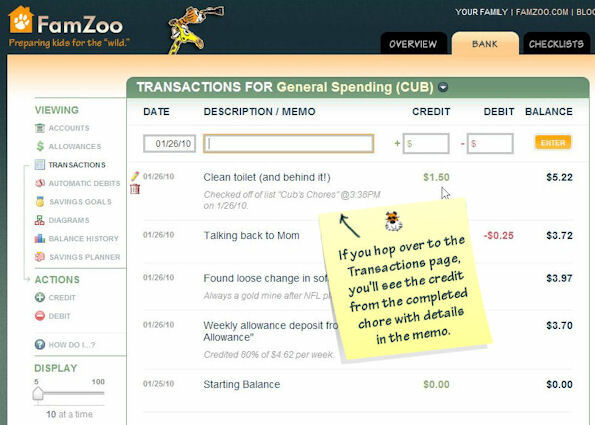 We’re fairly new to FamZoo and it is working well for us, but I’ve found that it really helps my kids visualize the impact of their spending by seeing a line graph of their balance. 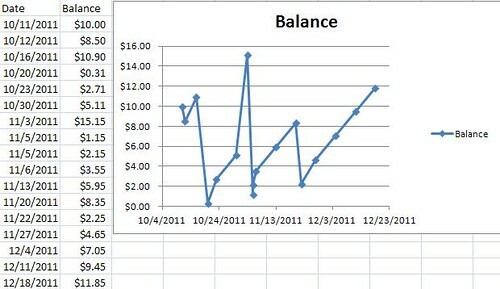 I find myself copying the transactions into excel and creating a line graph so they can see their balance go up/down and relate it to their decisions. 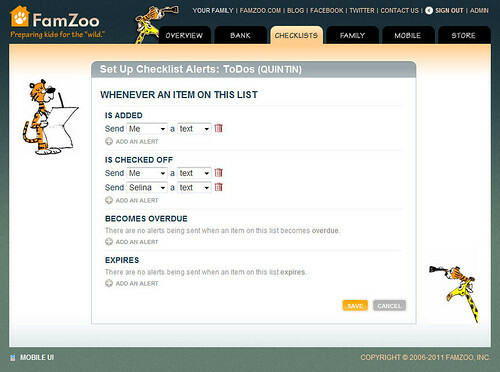 If you could add something like this to FamZoo, it would be appreciated. 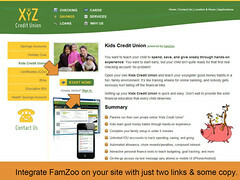 First, thanks so much for using FamZoo with your family. 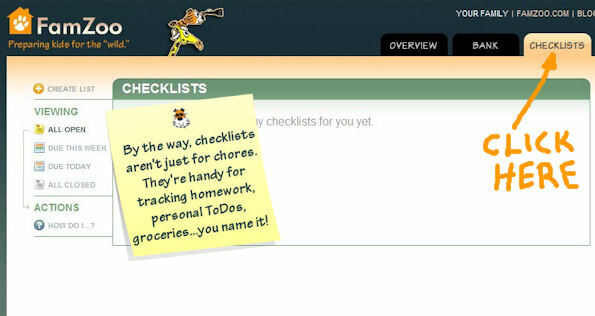 We’re delighted to hear it’s working well for your kids. 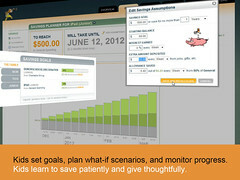 If you are, and it isn’t filling the need, can you tell me a little more about the line chart you’re creating? Do you compute a closing balance for a certain interval - like a day - or do you just have a point for each transaction and not worry about evenly spacing things in time? I’d love to see a screen shot if you’re comfortable sharing. Thanks for the quick response. I have seen the bar chart and maybe it’s because my kids are pretty young, but the bar chart is hard for them to grasp — “X transactions combined over the last month to result in Y.” The feedback/correlation just isn’t there for them. 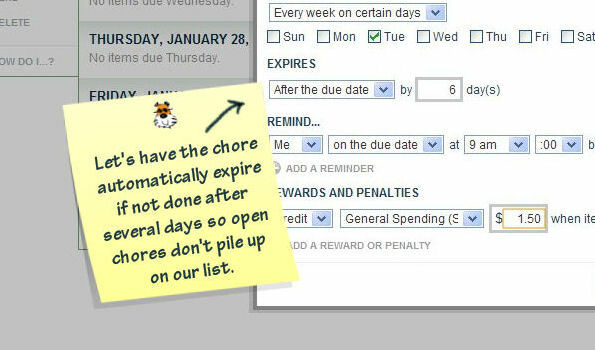 I attached an example of what I make for them. The conversation is generally: “you had $15 but you chose to buy that book at the book fair so you went all the way down to $1. 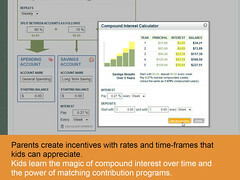 Then you started saving your allowances until you decided to purchase X.” Etc, etc. 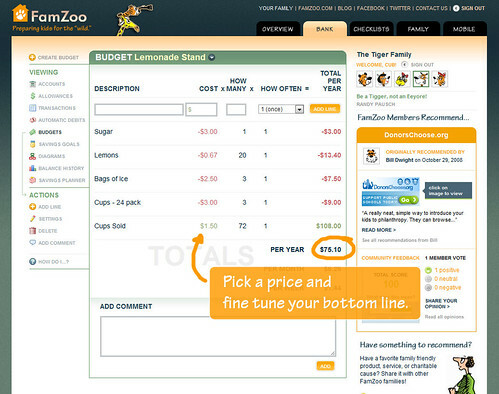 They see how their individual decisions directly impact their bottom line. Something like this for the last X (10?) 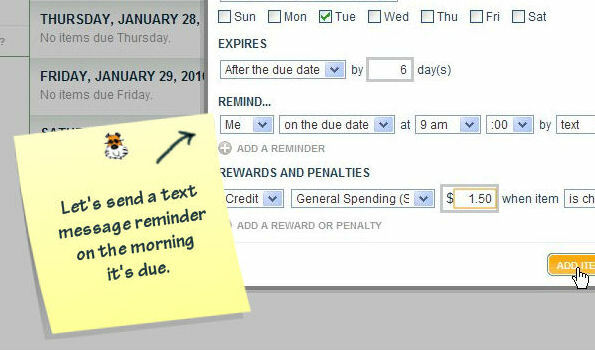 transactions would be wonderful. 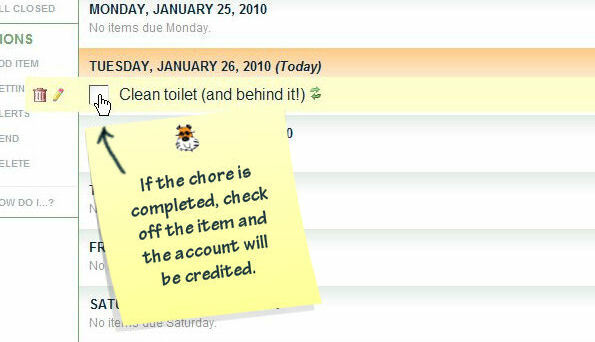 Color code the plotted points for each transaction — red for debits and green for credits. 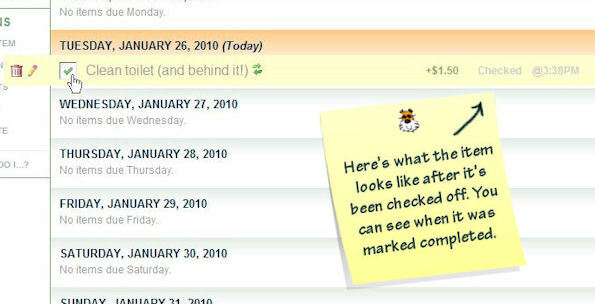 Show the detail of the transaction — description, amount — when you fly over it with the mouse. 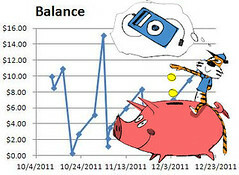 Jump to the appropriate transaction in the Transactions page when you click on a plotted point. Perhaps make the size of the plotted point proportional to the amount of the credit or debit to make it easier to discern relative amounts. 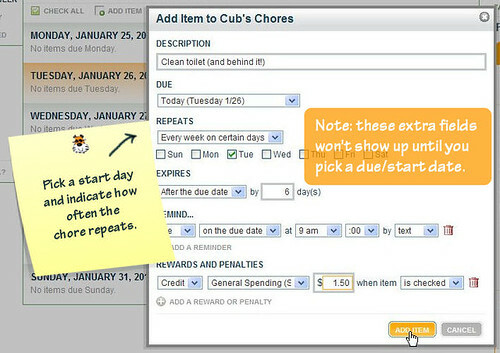 Allow the user to easily adjust the date range interactively using the same pagination controls we use on our Transactions page. How about you? 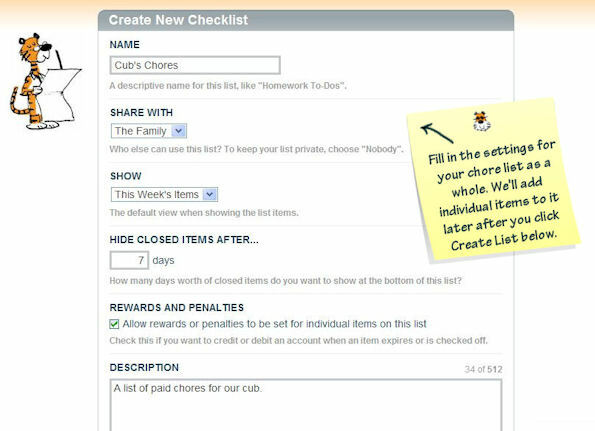 Do you have a clever suggestion for how we can improve the way we help parents teach kids good money habits? If so, please leave a comment below or contact us anytime. Family traditions are a wonderful way to turn positive behaviors — like charitable giving — into regular habits, and year-end holidays provide the perfect anchor point for establishing annual charitable traditions with your kids. This year, we continued our simple but powerful Thanksgiving tradition of making hand-made holiday cards for the troops as originally described in this quick charitable family project post two years ago. If you’d like to participate in Operation Holiday Card this year too, you’ll have to hurry! Your cards need to arrive to the team in Shreveport by Wednesday, November 30th. Looking for examples or perhaps a little creative inspiration? Here are our cards from this year. The heartfelt messages give me goosebumps every time I read them. Can’t see the embedded slideshow? Try viewing on Flickr here. 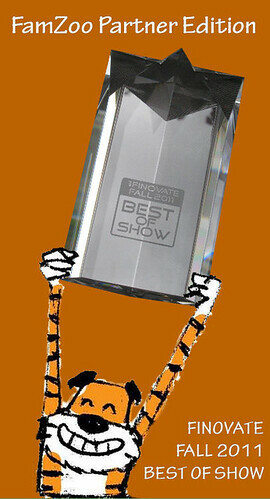 by Bill Dwight on Tuesday, November 22, 2011 at 10:51 AM | LEAVE A COMMENT! 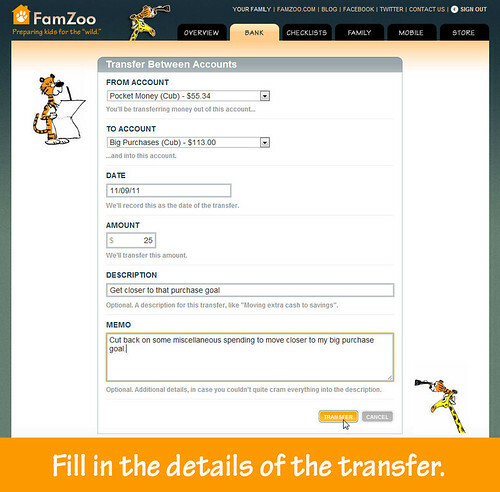 Just recently, we added a nice little convenience feature to FamZoo that has been in high demand for a while: the ability to transfer money between virtual accounts in a single step (as opposed to the tedious Texas two-step of debiting one account and then crediting the other). Click on the transfer link. 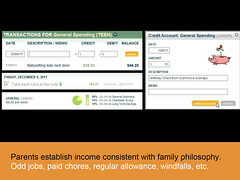 It appears in the footer of the Account Balances and the Account Activity summaries on your Overview tab. 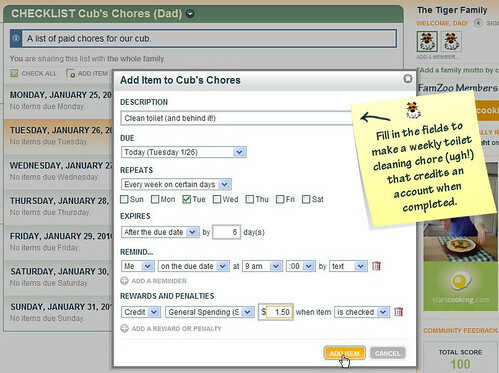 You can also find it on the Accounts page or the Transactions page under the Bank tab. 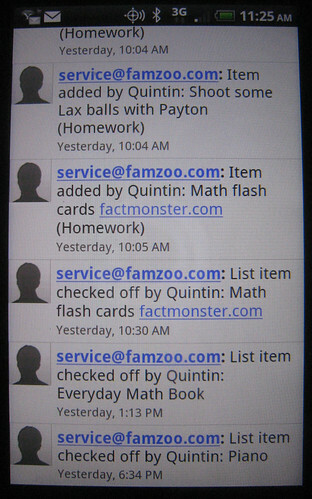 Look in the the left hand sidebar under the Actions section. 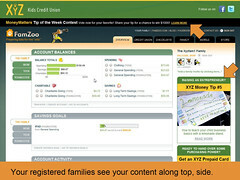 Note that the transfer links will only appear if you’re signed in as a parent and have more than one account in your family, or if you’re signed in as a child and have been granted credit/debit permissions on more than one account. 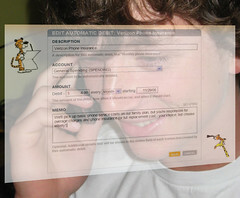 Fill in the transfer form. 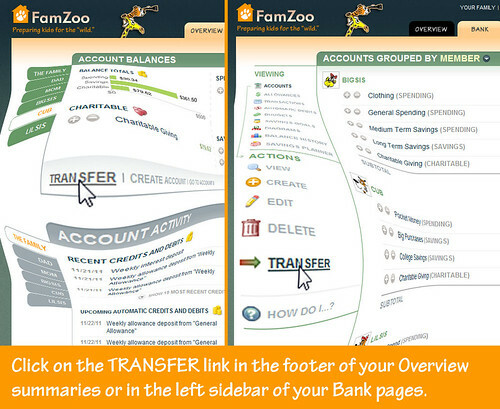 Clicking on the transfer link brings up the form named Transfer Between Accounts. 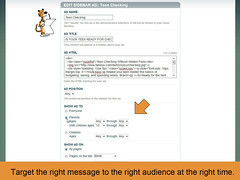 Pick the source and destination accounts, fill in the date and the amount of the transfer, and add a description and memo if desired. 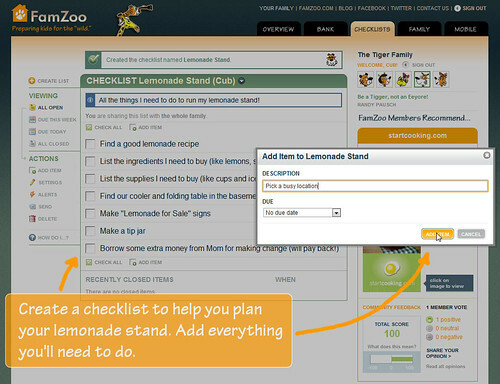 Click the transfer button at the bottom of the form to make it happen. Check out the two matching transactions. 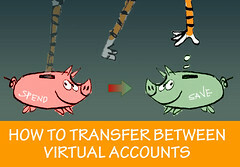 After the transfer, you’ll notice two special matching transactions — one in the source account and one in the destination account. 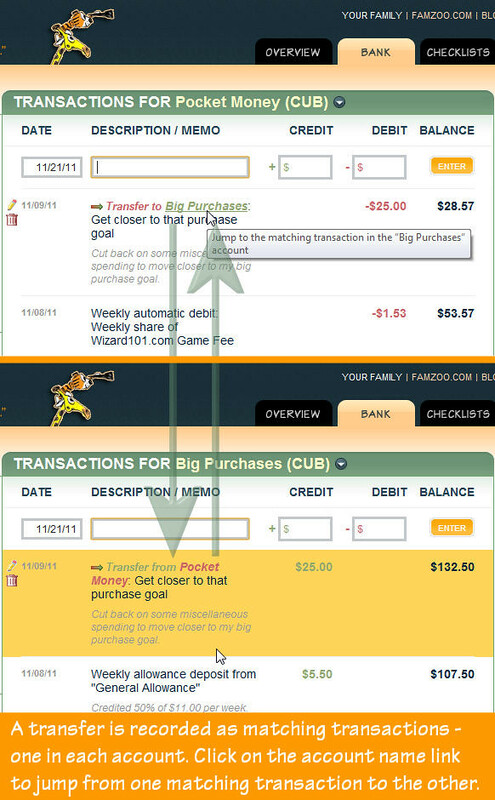 Look on your Transactions page under the Bank tab and you’ll see that transfer transactions are easily spotted by the little colorful arrow icon in the description field. 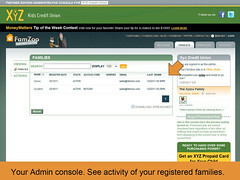 You can jump to the matching transaction in the other account by clicking on the account name link in the description. 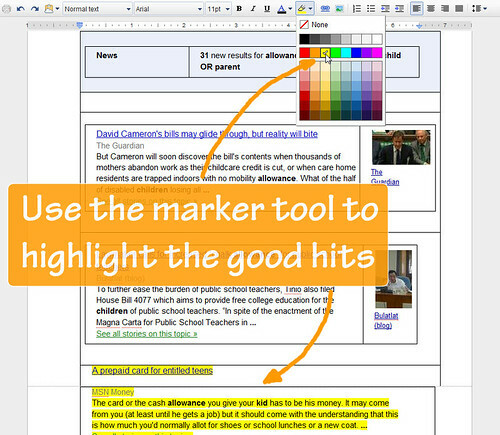 After jumping, the matching transaction briefly highlights in orange to make it stand out. Got questions? Feedback? Other requests? Just leave a comment below, or contact us privately if you prefer, and we’ll get back to you. We love hearing from you. 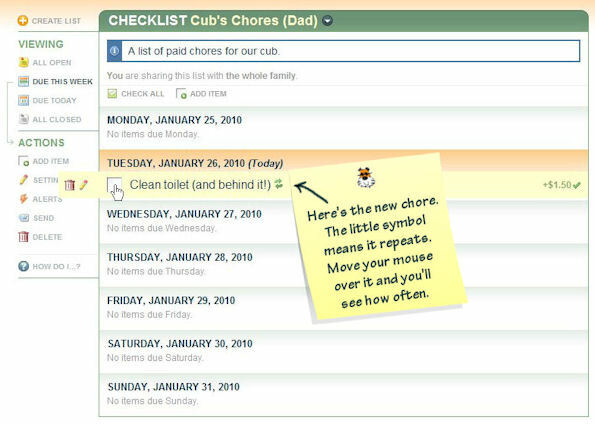 Every day at FamZoo, we search the web for anything related to teaching kids good money habits using keywords like “chores” and “allowance” — among others. 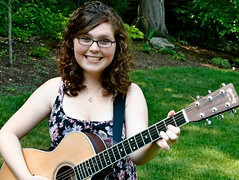 Over the summer, our search turned up a very cool story about a wonderfully talented 18 year old singer-songwriter named Sophie London who had just released her self-titled debut album. Wow, what a voice. What musical ability. I’m always amazed at the talent these teens can possess — maybe because when I was an aspiring teen musician, my guitar instructor told me after just two weeks of agonizing lessons: “Bill, I think you should find another hobby.” Ouch. I wrote my first song — it was called “The Allowance Song,” because I wanted my allowance and my parents would never give it to me. OK, now that’s a song I just had to hear! So, I contacted Sophie to see if she had a copy of the original song lying around. No such luck. Undaunted, I commissioned Sophie to revive the song from her early childhood — and toss in a few new twists. See what you think. Here’s The Allowance Song (Revisited). Listen with the player below (or you can download the mp3 here). Naturally, I think it’s quite epic. 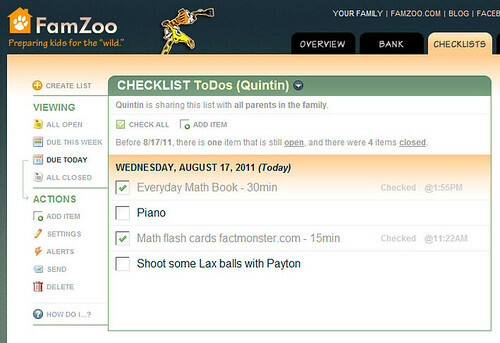 So, I’ve christened it as the official FamZoo theme song. Will you pull yours too? by Bill Dwight on Wednesday, September 28, 2011 at 11:24 PM | LEAVE A COMMENT! 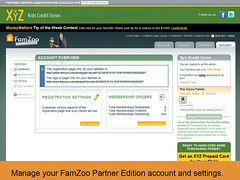 FamZoo Partner Edition, our new co-branded version of FamZoo, is now available for financial institutions and advisors looking for an innovative new way to deliver effective youth financial education. 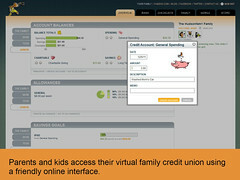 Using Partner Edition, a financial organization can deliver FamZoo’s Virtual Family Bank directly to its client families. 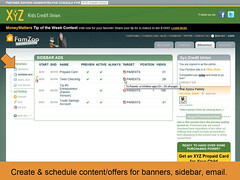 Partner Edition includes an administrative console wrapped around a built-in targeted advertising platform. 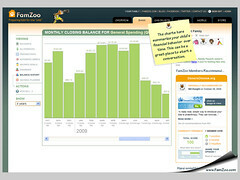 Using Partner Edition’s self-service console, an institution can customize FamZoo’s appearance, schedule targeted offers, and monitor activity. 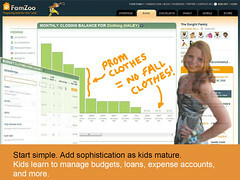 The platform allows organizations to deliver the right offers at the right time to the right segment of their audience as kids gradually transition to real world financial products. 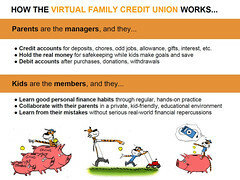 For example, a financial institution might choose to highlight its teen-oriented debit card offering to all parents who have children between the ages of 13 and 17 or its starter savings account to parents of kids 12 and younger. 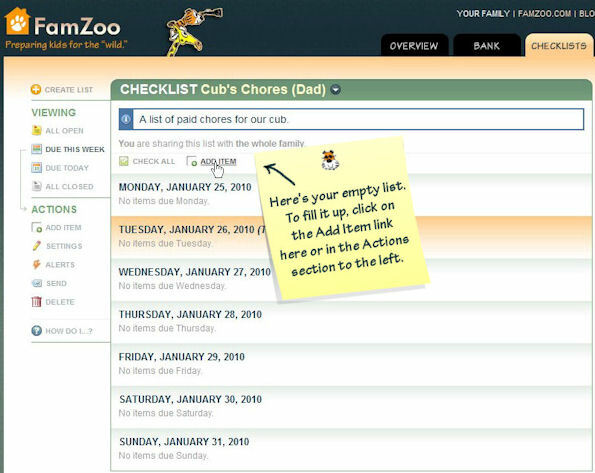 Please note: families who register and subscribe directly with us via FamZoo.com remain free from all advertising — just as before. 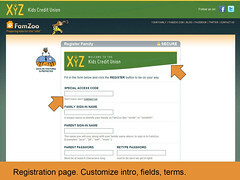 Only families registering via a partner using FamZoo Partner Edition are subject to advertising and offers from that sponsoring partner. 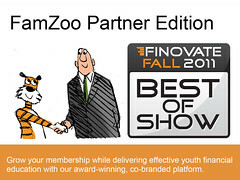 The “formal unveiling” (OK, aside from my jeans, Bank of Mom & Dad T-Shirt, and orange shoes) of FamZoo Partner Edition took place last week in New York City at FinovateFall 2011, the premiere conference for showcasing new innovations in banking technology. The format consists of 63 companies delivering back-to-back, pressure-packed 7 minute demos over two days in front of roughly 1000 financial industry executives, analysts, press, and venture capitalists. To top it off, if you don’t heed the big red count-down clock and exceed your time limit, the Finovate staff rings a loud buzzer and unceremoniously cuts your microphone — whether mid-sentence or not. Pretty brutal, but we all know the deal going in, so fair enough. I was super relieved just to make it through without getting “gonged” and without suffering any unnerving technical glitches. Several hapless presenters were not so lucky — ouch. Kudos to Chris for all the behind-the-scenes prep work and technical contingency planning, like our backup server that fortunately never got called into duty. (But, if it hadn't been there, you just know we would have needed it.) Oh yeah, and my apologies to the poor NYC subway passengers who became an unwitting audience for repeated ad-hoc mumbled rehearsals of my 7 minute schpeel in the days leading up to my time slot. 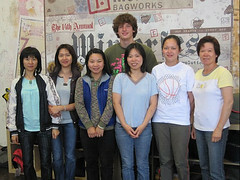 We were absolutely thrilled (and, frankly, a little bit surprised) by the incredible interest and response we received. 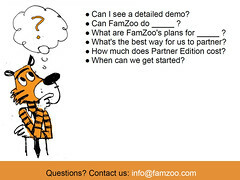 The audience voted FamZoo Best of Show and we received tons of genuine interest at our booth - and not just for our cool stickers! Really. Although, I must say my favorite moment was when the big, burly, tough, tattooed union guys who broke down the show booths came over to me to politely request extra stickers for their kids. How could I refuse? It’s the only time I saw those guys smile. Everybody loves cartoon stickers. They were a universal hit. 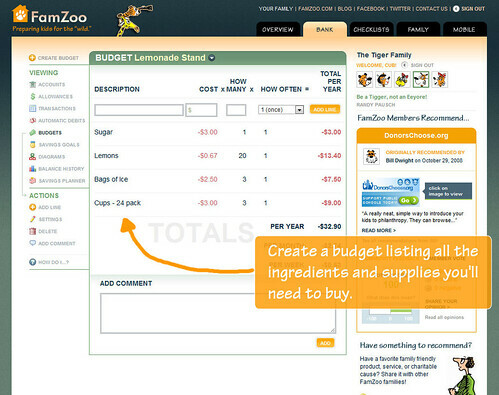 Last, but by no means least, I want to give a special shout-out to our two launch partners for FamZoo Partner Edition: Paul Comstock Partners and Jay Sanders (President of Maturity Planners and youth financial literacy educator in New York City — see Jay’s great blog). Your help and support was instrumental in ironing out those inevitable initial kinks when you deploy the real deal. Your passion for our product is insanely motivating. 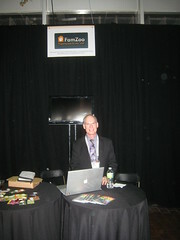 Jay, you were an absolute gem at our Finovate booth — I couldn’t have handled the crush without you! To wrap up my thoughts on the show: I’m truly delighted to see an increasingly serious industry commitment to honestly teaching kids sound personal finance skills — not just check-the-box style efforts. 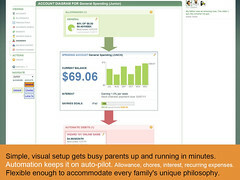 It’s been a long road from day one in 2006, but we’re seeing lots of new activity in the youth financial literacy segment and a variety of creative approaches. 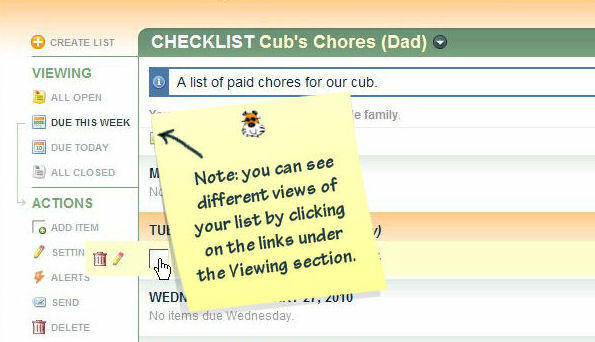 That bodes well for kids and familes everywhere, and we’re proud to be a part of it. P.S. If you find yourself in New York City and you like to walk, here’s a cool tip (thanks to my bro): check out the High Line Park — really, really cool. 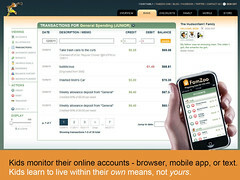 For articles covering FamZoo’s appearance at FinovateFall 2011, see here. 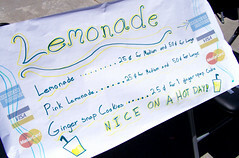 by Bill Dwight on Tuesday, August 09, 2011 at 3:38 PM | LEAVE A COMMENT! Are you looking for an engaging, violence-free computer game for your youngster? 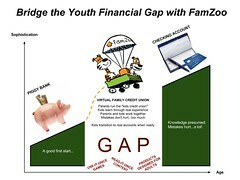 As an added bonus, would you like your child to learn the basics of money and business along the way? Check out Roller Coaster Tycoon. I think he needs to renegotiate the interest rate on his loan! 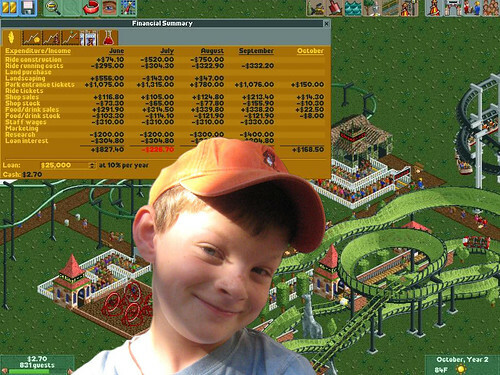 As a parent, I highly recommend Roller Coaster Tycoon. It’s fun. It’s educational. Win-win.